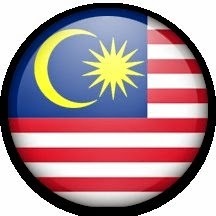 The Malaysia Open Source Community Meet-up is an event for Open Source Communities in Malaysia to meet with each others. It's an event for software developers, students, and other interested people to learn more about open source software. This event is a makan-makan and borak-borak with friends. Theme: Birds of Feather, we flock together. This Meetup is a BoF style Meetup, no pre-planned agenda. Kita datang, makan dan berbual tentang kita sebagai Open Source Community Malaysia. Official web page for this event and registration. Please register yourself for us to record whose attending.